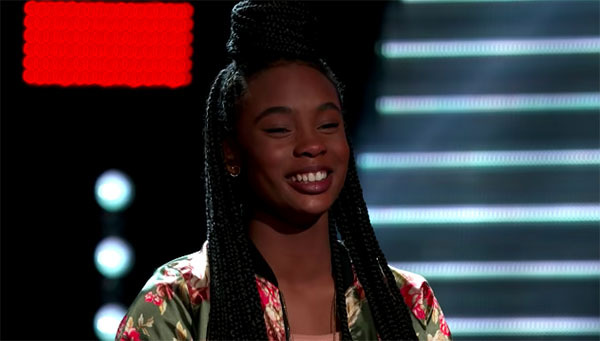 13-year-old Kennedy Holmes sings “Turning Tables” by Adele on The Voice Season 15 Blind Auditions on Monday, September 24, 2018. “You’re voice is already seasoned OMG. I want you to pick me as your coach,” said Blake Shelton. “You are so young. Your voice sounds so good and beautiful,” said Kelly Clarkson. “You are so gifted, you are a star,” said Jennifer Hudson. “Very rarely that someone come around that re-ignites our passion,” said Adam Levine. Kennedy gets four chair turns from the judges. What can you say about Kennedy Holmes’ performance? Share your comments and views on the discussion box below.